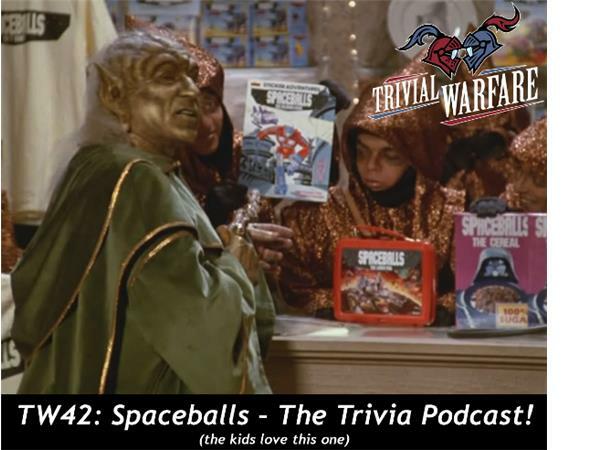 TW42: Spaceballs the Trivia Podcast! It was a sad day in the Oakes household after episode 41. Chris took Jonathan down for the first time since July. Can he win again and start a streak of his own or will Jonathan put a stop to this and start a new streak of his own. Find out in todays' show. Carmela hosts and challenges the guys with questions about things like dwarf planets and the world cup. Also, take a guess at what movie Carmela hasn't seen in way too long!